On 1 October 2012, new rules came into effect that change the types of motorcycles learner and restricted licence holders can ride. The rules, which aim to improve motorcycle safety, include the introduction of a new motorcycle rating system. The rating system, known as the Learner Approved Motorcycle Scheme (LAMS) is an initiative of the road safety strategy Safer Journeys. LAMS identifies a range of motorcycles appropriate for learner and restricted Class 6 licence holders, based on their level of experience. The scheme determines appropriate motorcycles based on the overall performance capability of the motorcycle. There are two categories of LAMS motorcycles: LAMS-approved and LAMS-prohibited motorcycles. an upper engine capacity limit of 660cc. Motorcycles and scooters with an engine capacity of 250cc or under are automatically LAMS-approved, with the exception of a small group of 250cc motorcycles are not approved for learner and restricted riders due to their high performance capabilities. Learner or restricted licence holders who rode one of these 250cc motorcycles before 1 October 2012 have the option to apply to the NZTA for an exemption, which may enable them to continue to legally ride this motorcycle. The full lists of LAMS-approved and LAMS-prohibited motorcycles can be found by clicking on the link below. The lists are continually updated as new models are approved by the NZ Transport Agency. » LAMS-approved and prohibited motorcycle list. 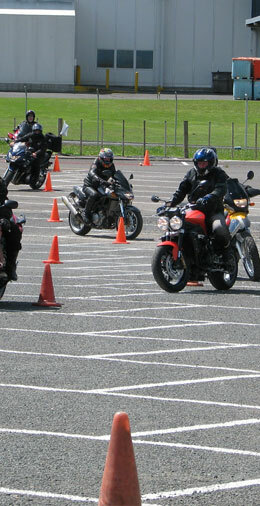 Riderqual is a NZTA approved training organisation that specialises in motorcycle training and assessment. Focused on servicing the greater Bay of Plenty region out of Tauranga, Riderqual offers training for 2 wheels, Quad Bikes, Basic Handling Skills Tests, CBTA 6R and 6F Assessment rides and Advanced road riding [more].